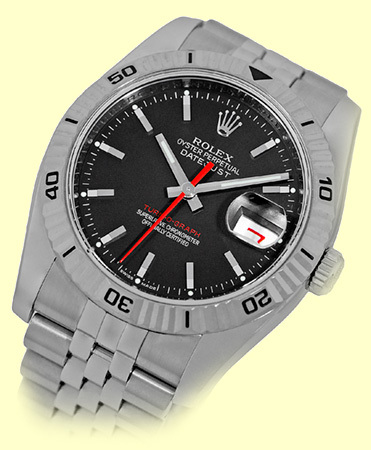 Certified Pre-Owned Gent's Stainless Steel Rolex Datejust "Turn-O-Graph". 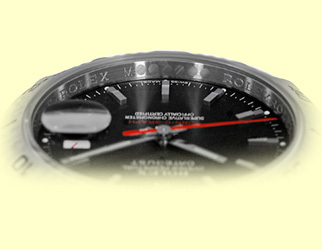 Charcoal Black Dial with Luminescent Hands, Index Hour Markers, Red Center Sweep Second Hand, Red Date Indicator. 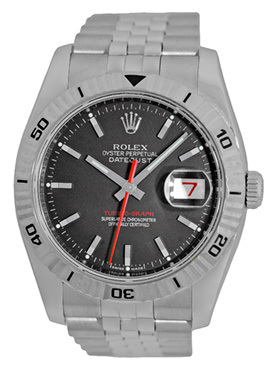 18K White Gold Turn-O-Graph Bezel, Quickset Movement, Sapphire Crystal. 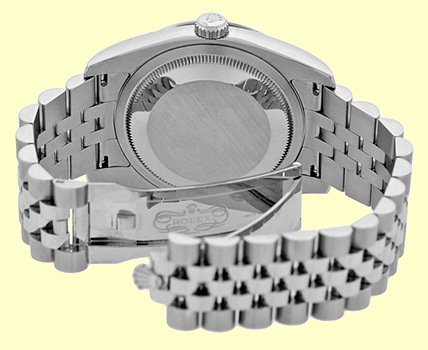 Matching Stainless Steel Rolex "Jubilee" Hidden Clasp Bracelet. 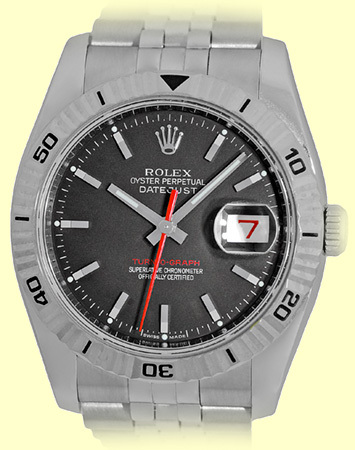 M Serial Number, Warranty Card Dated 01/2013. 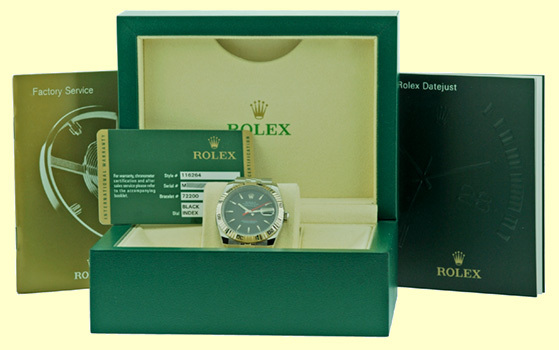 Certified Pre-Owned, Like New Condition with Rolex Box, Booklet, Warranty Card(Dated 01/2013), Hang Tag and complete with Capetown's Lifetime Warranty! !